There are so many different rewards credit cards out there these days that give you points that can be redeemed for free flights, hotels, etc. 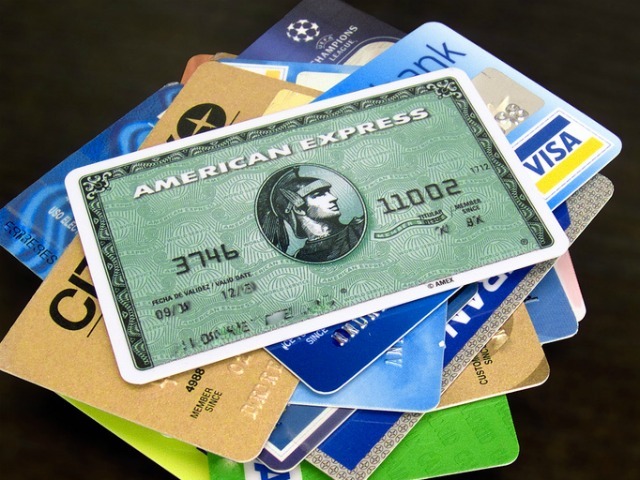 In a recent blog post by Nomadic Matt “Picking a Travel Credit Card,” he enlightens his readers about the types of cards he uses and the best cards out there today that are great for frequent travelers. The best travel credit cards are those that have no foreign conversion fees; low annual fees; high sign-up bonus points; good points-to-dollars ratio; and low minimum spending requirement for receiving points. Sign-Up Bonuses: A good rule of thumb is to pick a card that will give you enough points right when you sign up that will give you at least 1 free U.S. flight. Otherwise, it could take forever to get enough points for a free flight. Points to Dollar Ratio: Many cards only offer 1 point for every dollar you spend; however, there are cards out there that will give you more points if you shop at certain retailers or brand. Choose cards that have below a $1,000 spending minimum. Many cards out there won’t allow you to start earning points until you have spent a minimum of $5,000 or more. So be sure to choose a card with a low spending minimum so you can start reaping the benefits more quickly. Yearly Fees: The cards with an annual fee tend to give you better rewards and the fee is worth it. Most fees are between $50-$95 per year. Generally, the rewards out-way the fees. No Foreign Conversion Fees: For traveling oversees, you want to be sure you choose a rewards card that doesn’t have a foreign conversion fee. Most cards charge you 3% when you use them internationally but they also offer great exchange rates. Here are some cards that do not charge a foreign conversion fee: Capital One No Hassle Card, American Express Platinum Card, United Mileage Plus Card, and the Chase Sapphire Preferred. To determine the best card for your needs, you must first ask yourself what are you going to use the card for? Do you want a rewards card that will give you free flights? Do you just want a card without international fees? Do you need a travel card that has brand loyalty? Or just a general rewards card that can be used at an array of vendors? A great card for business travelers is the Starwood American Express card which offers hotel points, free stays, you can transfer the points to get free flights, and you also receive discounts from a number of other retailers. General rewards cards are best for those of you who don’t want specific brand loyalty because you would still get rewards points for free flights, discounts, and even cash back, just no elite benefits. If you aren’t concerned with points, miles, etc. then just be sure you get a card with no transaction fee. 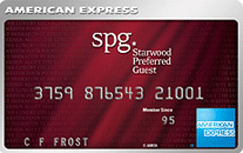 Starwood Preferred Guest Credit Card from American Express. Currently, you get 25,000 Starwood points when you sign up. You also get 5,000 bonus Starwood Points after you transfer 20,000 Starpoints for flights with no blackout dates and over 350 airlines to choose from! Matt highly recommends this card. 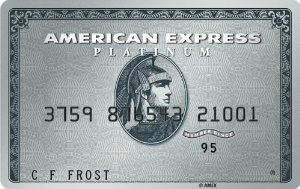 The Platinum Card from American Express. You get 25,000 Membership Rewards when you spend a minimum of $2,000 your first 3 months. This card does have a high annual fee of $450 but is great for frequent travelers as you get free airport lounge access, a $200 USD airline credit, travel coverage, and an elite level status for a number of companies. 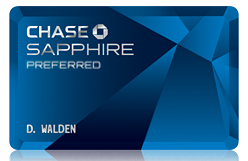 Chase Sapphire Preferred Card. Earn 40,000 bonus points after you spend $3,000 in the first 3 months. You receive 2x the points when you use your card for travel and dining and 1 point per dollar on all other purchases. You can transfer your points to other frequent flyer programs with no transfer fees. When you redeem your points through Ultimate Rewards, get 20% off of travel. No foreign transaction fees. 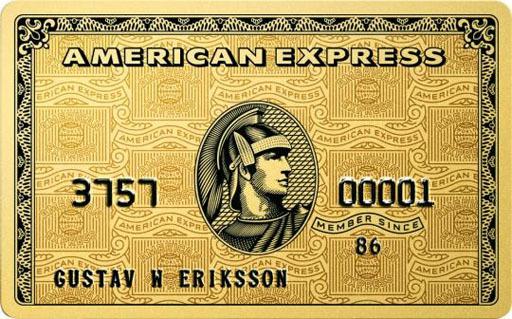 American Express Premier Rewards Gold Card. Earn 25,000 points after you spend $2,000 in your first 3 months and earn 15,000 more points when you spend $30,000 within one calendar year. Receive double points on groceries and gas within the U.S. and triple points on flights. Receive 1 point for every other $1 spent also. Citi Platinum Select AAdvantage World Mastercard. Earn 40,000 American Airlines AAdvantage bonus miles after spending $3,000 the first 3 months. Get the 1st checked bag free for you and 4 travel companions. Earn priority boarding with Group 1 privileges. Earn $100 American Airlines flight discount every year you renew your membership and spend $30,000 or more within the year. Earn 2 AAdvantage miles for every $1 you spend on eligible American Airlines purchases and 1 point for every $1 on other purchases. United MileagePlus Explorer Credit Card. Earn 30,000 bonus miles after you spend $1,000 in the first 3 months and earn 10,000 additional bonus miles every calendar year you spend at least $25,000. Check your first bag free for you and a companion. Receive priority boarding before general boarding. NO foreign transaction fees. Earn 2 miles for every $1 spent on United flights and 1 point per $1 on all other purchases. There are no blackout dates for redeeming miles on any United flight and your miles will never expire as long as you are a card member and there is no mileage limit. US Airways Dividend Miles Premier World Mastercard. Receive 30,000 bonus miles after your first purchase and earn an additional 10,000 miles when you transfer a balance within 90 days after opening the card. Earn 2 miles for every $1 on all US Airways purchases. Receive an annual companion certificates good for up to 2 companion tickets for $99 each plus taxes and fees. Reward travel begins at 20,000 points. There are lots of great deals out there for frequent business travelers to jump on to receive free or discounted flights, hotel rooms, rental cars and more! Hopefully this guide helps you choose the right travel card for your business. Getting approved for a travel rewards credit card can be an adventure. Banks have become more stringent in recent years.